Yet this small-town experience puts you only half an hour’s drive from Quito’s world-class cultural events, top-notch medical care, and great shopping. If you live in one of these valleys, the owners of your local restaurants will know you by name, and you can have milk delivered right to your front door. Every week these towns hold a farmers market, with piles of fresh-picked produce and straight-from-the-farm eggs. And each town plaza is filled with park benches and neatly landscaped green areas. You’re only four-and-a-half hours away from the U.S. by jet. Yet you are in one of the most affordable countries in the world. And to top it all off, the weather is never too hot or cold. Because Quito is located in a natural bowl and surrounded by mountains, it is easily isolated from the small towns just over the eastern peaks. Though well-maintained highways connect the city with its smaller counterparts, the natural barriers keep them very much separate and able to retain their own flavors. Drive just five minutes from Quito’s edge and you’ll find yourself in Nayón. 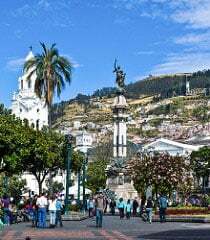 It looks much like any other Andean village, with its central church-fronted square, mix of colonial and modern architecture, and small businesses lining the main street. It’s a quiet, clean little place, perfect for those seeking tranquility. 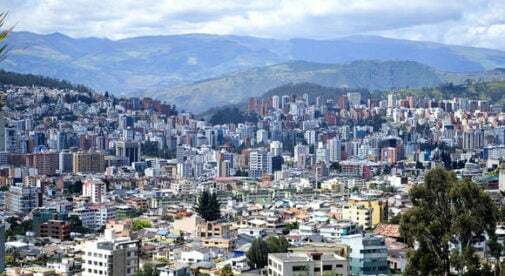 Quito, and its surrounding neighborhoods, can offer you both mountain and city living within close proximity of each other. Nayón’s claim to fame is its garden centers, and it came by its nickname, El Jardin de Quito (The Garden of Quito), honestly. Many residents who live just outside of—and even a few living right in—Nayón grow plants that are sold at the home and garden nurseries in Quito. But if you come to the little greenhouses right in Nayón, you’ll find the goods for pennies on the dollar. You can pick up fruit trees, hibiscus, fuchsias, palms, succulents, and hundreds of other species of plants here. A friend recently spent just $3 on a healthy scarlet hibiscus. By far the smallest of Quito’s valleys, Nayón has a singular appeal. If you’ve got a green thumb or are looking to improve your gardening skills, this is a fabulous place to be. Not only will you have access to almost any plant you could want, you will also find plenty of gardening experts in the area. Make friends with a few of your neighbors, and they’re sure to share their wealth of knowledge with you. It’s also a fun place to walk or ride a bike. If you head out of town just a bit, you’ll find winding roads that take you past little fincas (country estates) surrounded by walls made of packed earth. You may come across a farmer herding his sheep or cows from one pasture to another. And you’re sure to see some of those beautiful plant nurseries along the way. 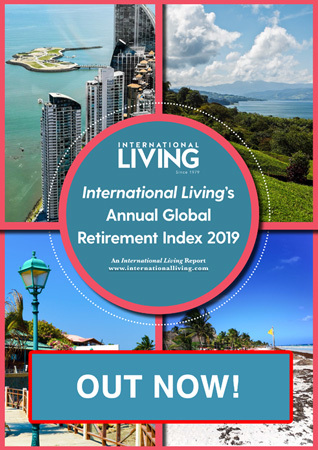 Life in Nayón will cost you about the same as any other small town in Ecuador ($1,400 to $2,000 a month for a couple, depending on your lifestyle) though you’ll have the added benefit of Quito and its luxuries just minutes away. For $3 you can buy a fish or crab plate for lunch, with an accompanying starch and vegetable; rental apartments or casitas can be found for as little as $500; and bus fare into Quito will cost less than $1. While Nayón holds close to old traditions and an off-the-land lifestyle, you’ll find a more modern and trendy lifestyle in the Cumbaya/Tumbaco valley, the playground of Quito’s upper class, while Valle de los Chillos is a wonderful mix of both.